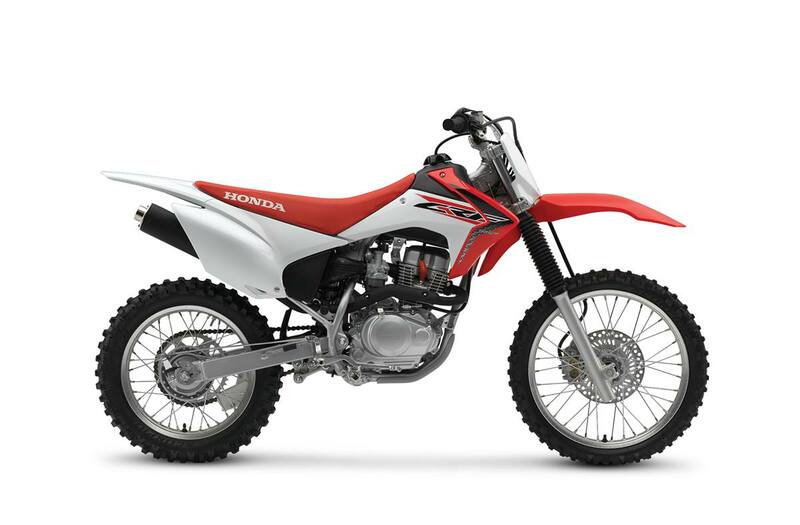 Smooth power: Dependable 149 cc single-cylinder air-cooled four-stroke engine produces the smooth, easy-to-use power that recreational riders prefer. Excellent throttle response: 24 mm carburetor offers excellent throttle response. Convenient starting: Convenient electric starting. Smooth engagement: Heavy-duty clutch offers smooth engagement and durability. Smooth shifting: Smooth-shifting five-speed transmission. Lightweight strength: Lightweight, semi-double-cradle, high-tensile steel frame. Compliant suspension travel: 35 mm leading-axle Showa front fork offers 231 mm (9.1 inches). Excellent rear suspension: Pro-Link rear suspension with box-section aluminum swingarm. Adjusts to the terrain: Heavy-duty Showa rear shock offers 227 mm (8.9 inches) of travel. Lightweight rear brake: Lightweight rear drum brake. Maintenance-free battery: Maintenance-free type battery. Easy maintenance: Snail-type chain adjusters for easy maintenance. Extended range: 7-litre fuel tank and thrifty four-stroke engine for extended range. More secure footing: Cleated, folding and self-cleaning footpegs for more secure footing. Tip-over protection: Folding shift lever and brake pedal tips help prevent damage in tip-overs. Protection from elements: Fork boots help keep dirt and moisture away from fork seals.